Going to Start Posting Again & Big Changes! If you looked at the title you can guess what I'm going to do. Start posting again! I know it's been awhile but it's gonna be awesomely fun! Though I may not have a membership sometimes I get them so, member cheats! First, there are some things I want to point out that will be different this time. More info, cheats, secrets, & more. The reason? 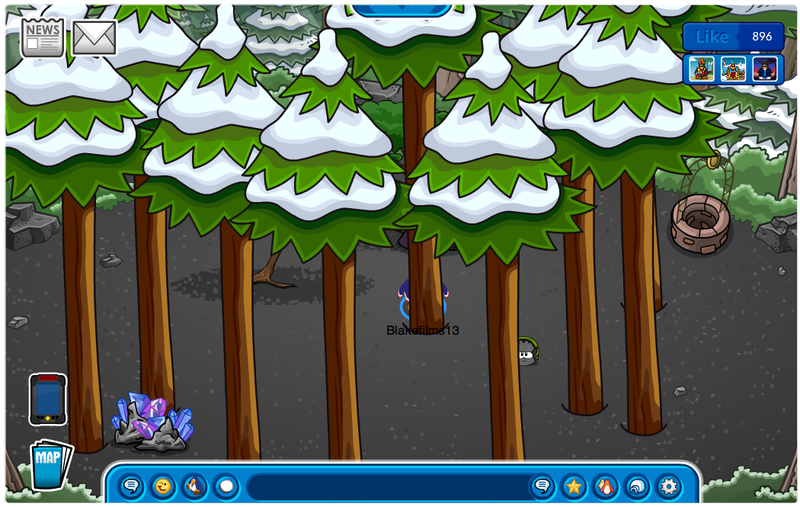 I've noticed that most cheat sites only show you what Club Penguin shows you. 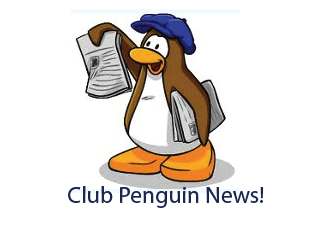 At this site it won't just show you what Club Penguin shows, it will show you secrets sneak peeks and more. Of course none of this would be possible without some help. Also there won't be any posts with centered wording, so it's easier to read. I'll be updating the look of the site eventually. Not soon but I have started working on it. New logo along with the new site. That's about all for now. See you in the next post. That's it. Bye! 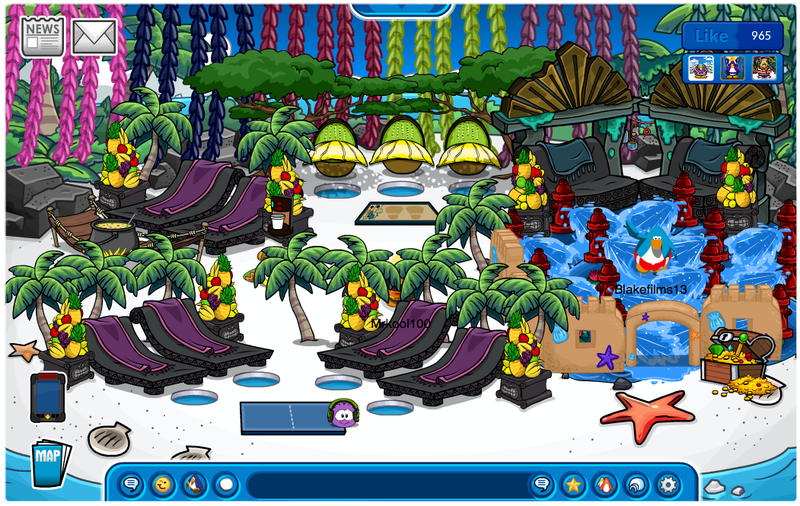 You've probably seen some pretty sweet igloos around the island lately, with the Igloo Contest and upcoming Adventure Party! If you think someone's igloo should be featured, let us know the penguin name. We'll choose a few to feature again soon, so stay tuned.. I hope you checked out Billybob's post about what's new in August. The party's getting closer, and I'm pretty excited. 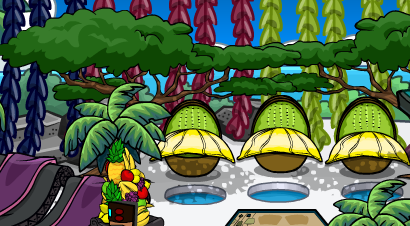 So I wanted to give you guys another sneak peek of what you can expect during the Adventure Party: Temple of Fruit! 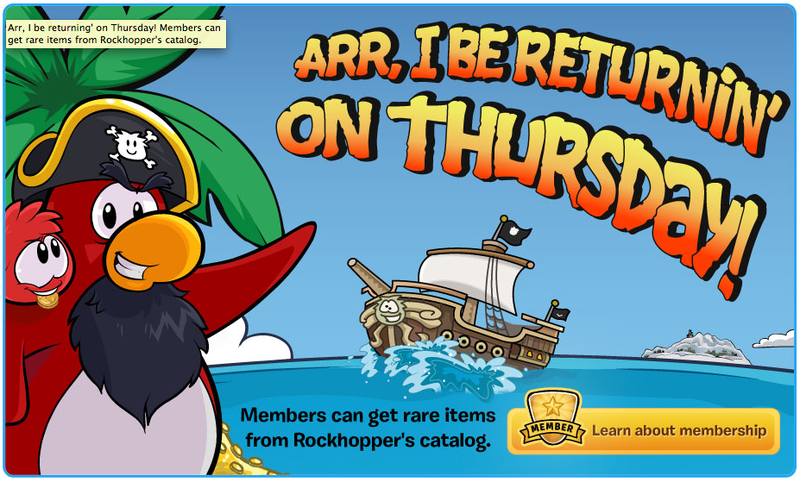 Rockhopper is visiting for this party, and will be bringing rare treasure with him. Grass skirt anyone? You won't want to miss out on the fruity mayhem! Stay tuned to the blog, and we'll have more updates as the party gets closer. This week I'm excited to announce the release of The Epic Official Guide to Club Penguin. It'll be available in stores across the USA and Canada starting this Thursday, August 16. So make sure you check it out! Our books always come with a special item you can unlock online, and with this Epic Official Guide, you'll unlock a rare item: the Expedition Backpack! And don't forget to let us know what you think of The Epic Official Guide! Hey everyone! You know who it is. Today while on club penguin, I always say that, "while I was on club penguin." 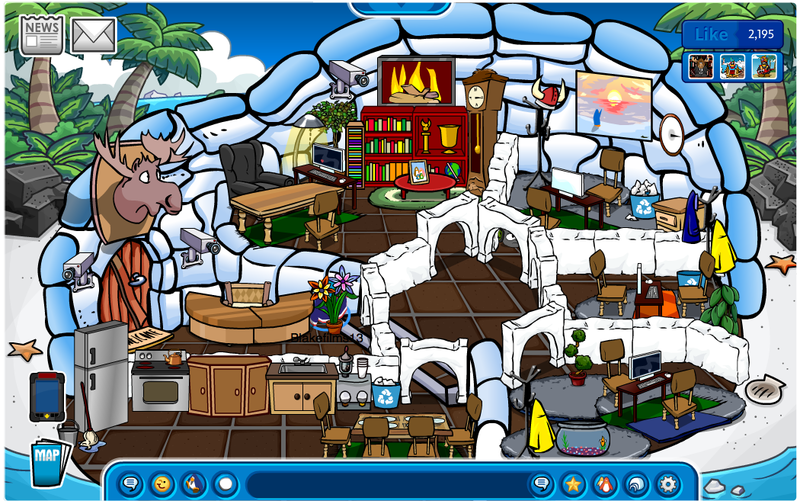 Any who, Here are some neat igloos, with "word!" commentary. This is businessmoose's igloo, he really got the idea of business and moose. This is polo field's house, well? polo something. but I like the setting with the tree's. I thought I was in a forest, not literally. Back on track, I want to say sugar star, but I know it wasn't that. Okay it ended with 24. I like this play section. And you dip your flippers in the warm soothing water. I like this water slide. You know, this really makes me want to be a member again. but I have a connection with penguins when I don't have a membership... and a better time... Why do I keep making these "... ... ... ..."
Well, hope you enjoyed the post, that's it. Bye! Hey everyone! Blakefilms13 here. Today while logging off, I noticed these two new log off screens. Here they are. 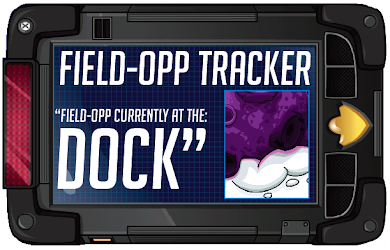 Join the EPF There's never a better time! Welcome To BlakeFilms13 cheat site where we inform you the latest secrets, tips, tricks, cheats, parties, pins, glitches, walkthroughs, reviews, sneak peeks, info, codes, exclusives, updates, trackers, field ops, videos, mascots, new catalogue's, what's new, blog posts, what other penguins are saying and much much more! This blog is a cheat site of course, but it's also more like a site of things that Blakefilms13 finds and other blogs don't. BlakeFilms13 hope's that this website will be a fun new and exciting website that will help penguins, and be a great home for Club Penguin cheats! Club Penguin Animated Short: Puffle Trouble + Puffle Hat and Tail Sneak Peek + Free Code! 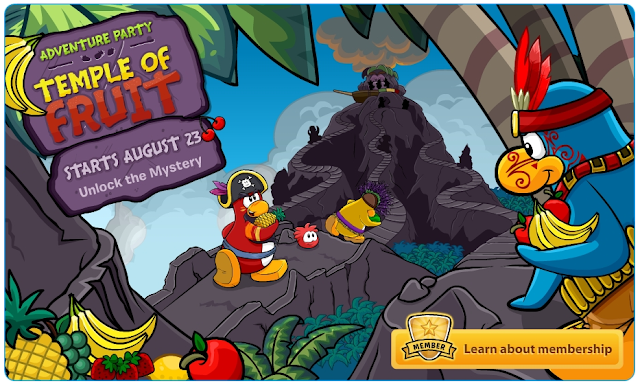 Is the Hot Pink Puffle theory real? Super Hero Party Takeover Preparation! Is Club Penguin looking into apps, and tablets? How to be a part of are blog roll. 1. You can Comment or email me at Blakefilms13@gmail.com. 2. Once we follow up on it you can be on are blog roll. 3. You can even add us to your blog roll. 4. Make sure to tell us the web address and name of your blog. 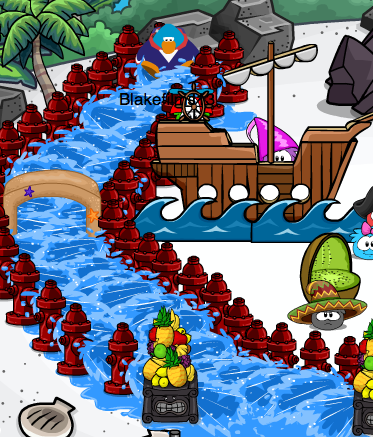 Club Penguin Cheats by Blakefilms13 Copyright 2011-2012. Simple theme. Powered by Blogger.